Hanuman langurs - photo by Kamal Kumar Dua. Though identified on the source site as Semnopithecus entellus, this taxon has been divided between up to seven species in recent publications. Todays' Taxon of the Week is the primate genus Semnopithecus. Once again, that's a sentence that's a bit easier to glibly write than it is to define. Semnopithecus includes the langurs, and together with the surelis (Presbytis) and leaf monkeys (Trachypithecus) forms a generally-accepted clade within the Colobinae, a group that also includes the colobus and odd-nosed monkeys and is characterised by a number of adaptations to a higher proportion of leaves in their diet than most other primate groups - most notably, a division of the enlarged stomach into an upper neutral region and a lower acid region, with leaves being broken down by fermenting bacteria in the upper region. Within the langur clade, however, there has been disagreement on the best way to treat the three subgroups taxonomically. Some authors have included all three groups in Presbytis, others have restricted Presbytis to the surelis and combined the langurs and leaf monkeys as Semnopithecus, while others have recognised three separate genera. Because this is purely a question of ranking and there doesn't seem to be any disagreement that langurs and leaf monkeys are more closely related to each other than either are to surelis, there is no "correct" answer here. For the purposes of this post, I'm going to treat langurs and leaf monkeys as two subgenera of Semnopithecus, for no reason whatsoever other than it allows me to cover both groups, though it is worth noting that the phylogenetic analysis of Osterholz et al. (2008) did not confirm the monophyly of Trachypithecus relative to Semnopithecus sensu stricto. No consensus seems to exist on the number of species within Semnopithecus. The langurs may represent as little as one or as many as seven species, depending on how the various populations around the Indian subcontinent are divided up. The leaf monkeys are even worse - Trachypithecus is the largest generic grouping in the Colobinae, and includes more than ten species scattered through south-east Asia. Many leaf monkey populations are poorly studied and species boundaries within the group are often unclear. Osterholz et al. divided Trachypithecus into fifteen species in five species groups as apparently recognised by Groves (2001) (which I haven't read), one of which (the Semnopithecus vetulus group with two species found in Sri Lanka and southernmost India) they found to cluster polyphyletically within Semnopithecus sensu stricto and transferred into the latter genus as a result. The Trachypithecus pileatus group, found on the boundary between the Indian subcontinent and south-east Asia, clustered with Semnopithecus in analysis of mitochondrial DNA but with Trachypithecus in analysis of Y chromosome data, leading Osterholz et al. to suggest the possibility of ancient hybridisation in the origin of the group. The golden langur (Trachypithecus geei). Photo from bhutanonline.net. Most leaf monkeys live in small groups of about six to eighteen individuals (Brandon-Jones, 1984). Compared to some other primates, colobines apparently show relatively little social interaction among members of a troop (though still being fairly social compared to many other mammals, of course), which Brandon-Jones (1984) suggested may be an indirect consequence of their diet. Almost all colobines include a certain proportion of young leaves in their diet, but few can eat a significant amount of mature leaves. As this is fairly low-nutrition fare, colobines must spend a higher proportion of their time feeding than other primates, while the scattered distribution of young shoots requires individuals to spread themselves fairly thinly through a foraging site. Most colobines do eat fruit and other plant parts in addition to leaves, and langurs have a fairly varied diet that also includes such things as insects, roots, gum and sap. Indeed, langurs are noted for being able to readily stomach toxin-bearing foods such as Strychnos fruit that other herbivorous mammals would find inedible or even fatal. 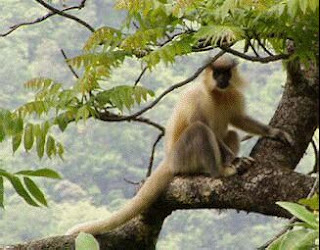 Langurs may be found in larger groups than leaf monkeys, with up to seventy individuals recorded in a troop (the largest size referred to by Brandon-Jones is a group of 120 individuals, though this may have been a temporary cluster of troops seeking water rather than a single troop). 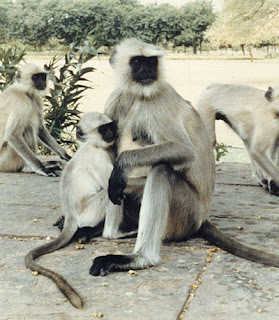 This may reflect their more varied diet, and/or it may reflect the fact that langurs are looked on favourably in most parts of India due to their supposed connection with the monkey god Hanuman (indeed, the name Semnopithecus means "sacred monkey") and are tolerated by humans or even actively encouraged and fed. Langur social structure varies significantly between different areas, possibly also as a result of food availability and population density. Like lions in Africa, langur troops are based on related females, with male offspring being evicted as they reach maturity, often forming nomadic all-male clusters. In some areas, breeding troops may include a number of mature males co-existing relatively peacefully, but in many areas most troops generally include only a single mature male. Also like lions, eviction of the incumbent male by another male in single-male areas is also often followed by the entering male killing any young already present in the troop in order to favour the raising of his own young. 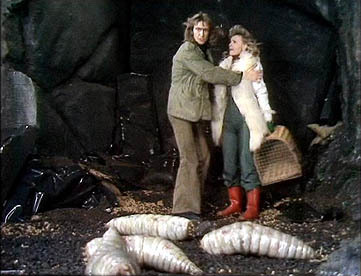 Interestingly, females who are pregnant at the time of takeover will engage in "pseudo-oestrus" behaviour - to completely anthropomorphise things, they fake sexual interest in order to induce the invading male to accept their offspring as his own. Production of young in all colobines often involves their being "shared around" between members of a troop, and females will often "borrow" and nurse the young of other females. Brandon-Jones, D. 1984. Colobus and leaf monkeys. In All the World’s Animals: Primates (D. Macdonald, ed.) pp. 102-113. Torstar Books: New York. Groves, C. P. 2001. Primate Taxonomy. Smithsonian Institution Press: Washington. Osterholz, M., L. Walter & C. Roos. 2008. Phylogenetic position of the langur genera Semnopithecus and Trachypithecus among Asian colobines, and genus affiliations of their species groups. 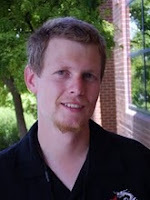 BMC Evolutionary Biology 8: 58.